Some of this information may no longer apply. Please see mover.io/pricing for our most up to date pricing. Read on for the original article. As we’ve grown Mover over these last two years we’ve observed many things. First: There is a huge need to migrate data to, from, and between cloud storage providers. Second: Once you’re in the cloud, there is a huge need to make sure your data is backed up! The awesome part of running a company like Mover, is that we get to constantly test, observe, and retest our assumptions about our product. When we first launched, we had two payment plans, which had major gaps in them. So we decided to see what would happen if we went to a prepaid model of simply adding credit to your account. This worked out well, and we saw a ton of growth as people came to the site and supported us with a few dollars here or there. What we realized, however, is that many of our customers were trying to do ongoing transfers, such as creating backups. A credit system is great for one-time migrations, but it falls down if you need to constantly top up your account. Back to the drawing board we went! Today we are announcing our third iteration of pricing plans. Effective immediately you will be able to subscribe to Mover services on a monthly basis. We will continue to offer our pay-per-GB option for users in need of migration services. Free accounts will have more restrictions, but all existing account holders will maintain their status and schedules will run normally. Link ⇢ View our new Pricing page for all the details. 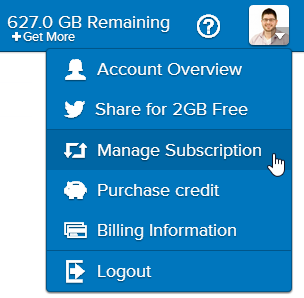 Along with our new plans, we are enabling our business users to easily manage individual users in their cloud storage accounts. We call these our Multi-User Connectors. Multi-User Connectors are awesome! 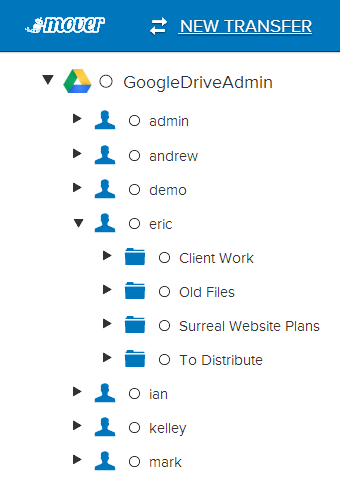 They let any administrator of providers like Google Drive, Box, and Egnyte see all the users in their organization. We’ll post more about Multi-User Connectors in the future, but I wanted to give it a brief mention here because they’re very important if you’re trying to migrate or backup your entire department or company. As always, don’t forget to check us out on our Twitter, LinkedIn, and Facebook pages!.